We are getting back to our roots again this year with this ancient prayer vigil service. 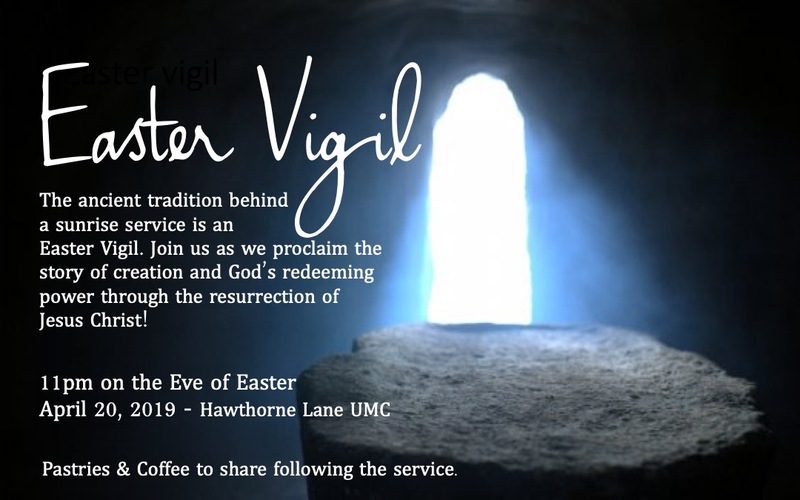 Historically an Easter Vigil is service held in Christian churches as the first official celebration of the Resurrection of Jesus. It is held in the hours of darkness between sunset on Holy Saturday and sunrise on Easter Day – most commonly in the evening of Holy Saturday or midnight – and is the first celebration of Easter. (traditionally days began at sunset). This year we will celebrate the Easter Vigil instead of the sunrise service on Sunday morning. Following the service we will gather for coffee and cinnamon rolls as we welcome the resurrection of Christ!